For each conference that we organize we get a lot of requests from startups and individuals who want to get in for free. We love startups and we’ve been there ourselves as well, but we can’t give away tickets without getting something in return. Our upcoming TNW Conference USA — which takes place October 1-2 — is no exception to this rule, but having said that, here are two ways to get yourself into the event. Are you a developer? Working on a bootstrapped startup? Check out the Hack Battle. By joining the Hack Battle (which is free), you’ll not only have a great time hacking, meeting peers and talking to developers from our API partners, but you’ll present your hack on main stage at the conference! How is that for an opportunity to show off your skills? I’m (@Patrick) the uncontested king of startup ping-pong. Or so I’d like to believe. So here’s the challenge: if you can beat me at ping-pong, you get a free ticket to the conference! But beware! If you lose, you have to contribute a nice amount to one of the following charities: CoderDojo NY, CampInteractive, ScriptEd or AFSE. Do you think you have what it takes to beat me? Challenge me on Twitter and meet me at King Pong in Soho this Friday between 5pm and 7pm. Bonus tip: You can also reach out to our Top Partners (@Appmachine, @adyenpayments, @outlook, @dotco). Sponsorship packages always include some tickets, so they might have one or two left for potential business partners. 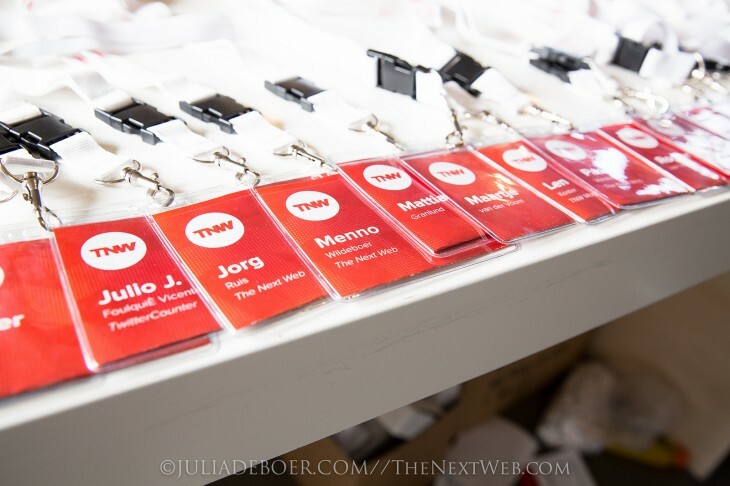 We’re very excited to meet you all at TNW USA. If you don’t have a ticket yet and the above tips don’t suit you, register via the site and we’ll see you at the conference.